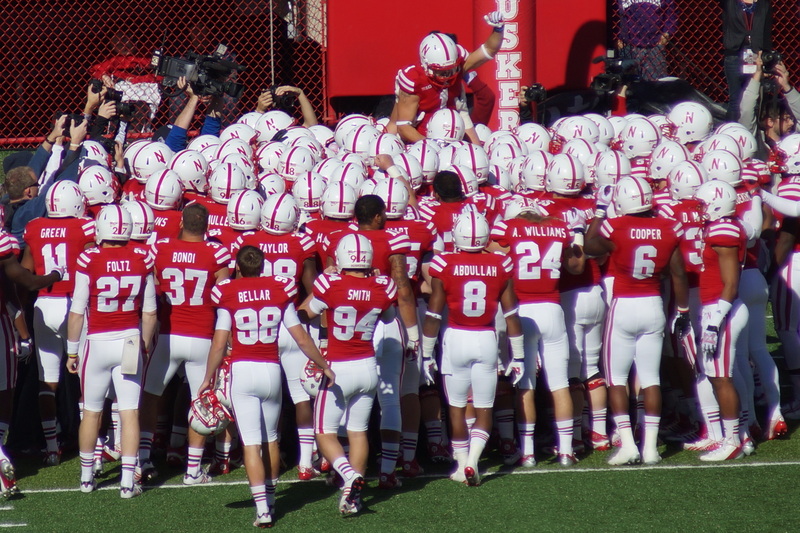 Nebraska Football: Who Has A Starting Role Locked Up? Nebraska football fans have been watching spring practice closely, looking for clues as to what the team will look like under new head coach Mike Riley. And while there are many more uncertainties this year, given new offensive and defensive schemes, we still have a good idea of at least a few starters for next season. Here are four players who are likely to be on the depth chart next August. Wide receiver is a tricky position to handicap for Nebraska, as there are a number of talented veterans returning in 2015. De’Mornay Pierson-El is easily Nebraska’s most dangerous offensive weapon, but his size means his use will likely be limited on offense. He will play, most certainly, but will likely only be seen in particular packages. Jamal Turner is another talented veteran who will very likely see the field in 2015. But even though all reports are positive, we still don’t know if he has fully recovered from the injury that cost him the bulk of last season. So it’s hard to call Turner a certain starter until we know his health status. As a result, Westerkamp is the only veteran receiver that looks set to step into the role of starter for Nebraska. He leads all returning receivers in receptions (according to CFBStats.com), and has a history of spectacular and dramatic catches. So while there are a lot of mouths to feed in Nebraska’s receiving corps, it looks like Westerkamp will be first in line. The only other pass-catcher that seems certain for the field is Carter, Nebraska’s most experience pass-catching tight end. Under previous head coach Bo Pelini, Nebraska had a maddening habit of ignoring its tight end for long stretches (call it the Mike McNeil effect). But Riley likes to put the ball in the air, and likes to utilize an “H-back” by putting a receiver or tight end into the backfield. Carter would be a perfect fit for the H-back role, giving him more opportunities to see the field. It’s a little strange to think of the rest of Nebraska’s roster as being in flux, and yet having the defensive tackle position clearly locked down. But given the performance of Collins and Valentine in spring practice, that’s exactly what has happened. Both Sam McKewon of the Omaha World-Herald and Brian Christopherson of the Lincoln Journal-Star have observed how Collins and Valentine have been dominating the offensive line all throughout spring practice. So wherever else Nebraska may have questions, defensive tackle is not one of them. Nebraska is loaded with talent in the secondary, so almost all of the starting back four should have intense competition. At corner, there is a possibility of Nebraska being three deep with players that could start with a less-crowded secondary. But Gerry looks to be the one certainty at safety. His play last year, after moving from linebacker after his freshman year, cemented his place as Nebraska’s most consistent defensive back. Look for him to be the one starter we know at this point in Nebraska’s talented backfield.